We had 2 nights stayed in this wonderful resort which is surrounded by the beautiful mountains. This morning we had our breakfast next to the window which allowed us to enjoy the amazing view with the sunrise. 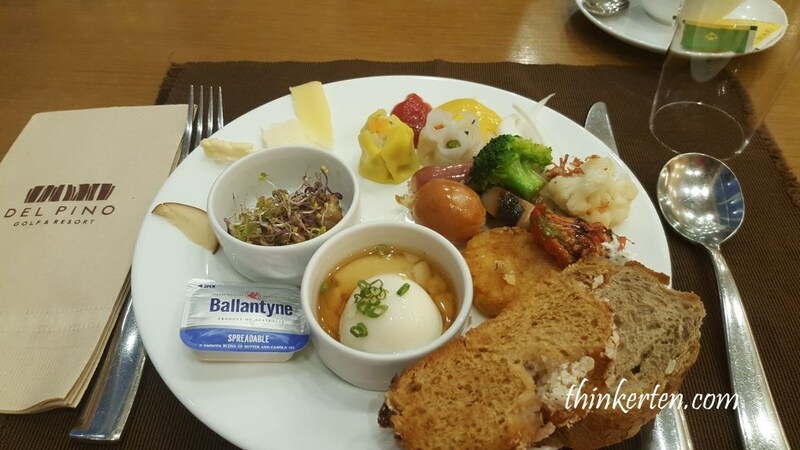 The variety of the breakfast were quite huge and the standard of food was good. Korean bread is a must try in this hotel. Other tour members were very much enjoyed their pastries. I had some healthy choice, natto/stinky bean, half boil egg, 2 slices of toasted Korean bread, some boil broccoli and cauliflower, a tiny sausage and 2 dim sum- Har Gao and Siew mai and one evil food which tasted best- the mini hash brown. All tasted very yummy. After breakfast we went out the restaurant to enjoy some morning fresh air and took more pictures with the rocky landscape. Delpino Resort also provides family apartment style, which has a kitchen attached to it. Many locals and tourists normally stayed in the apartment style which is located in another wing of this hotel. 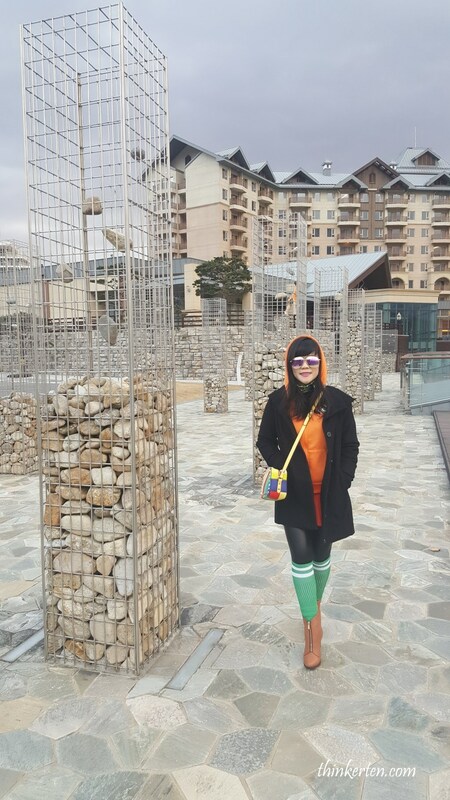 Behind me was the apartment style in Delpino Resort. Peak season can be quite busy here. 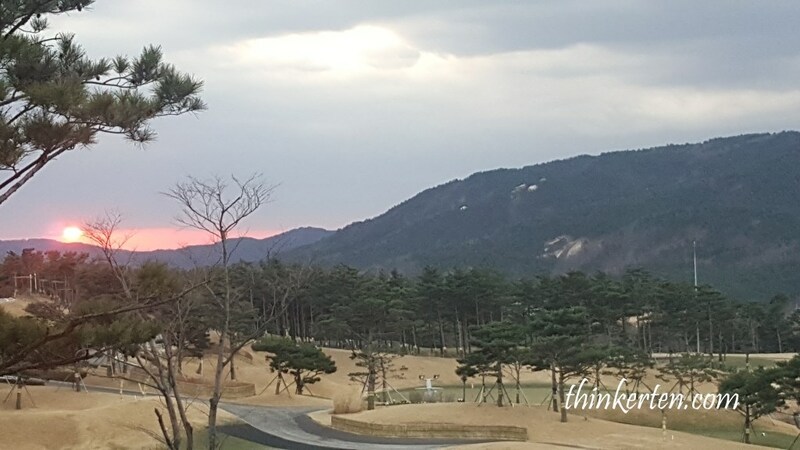 Phyeongchang Uiyaji Wind Village is located on the highlands of Pyeongchang county where the 2018 Winter Olympics will be held. 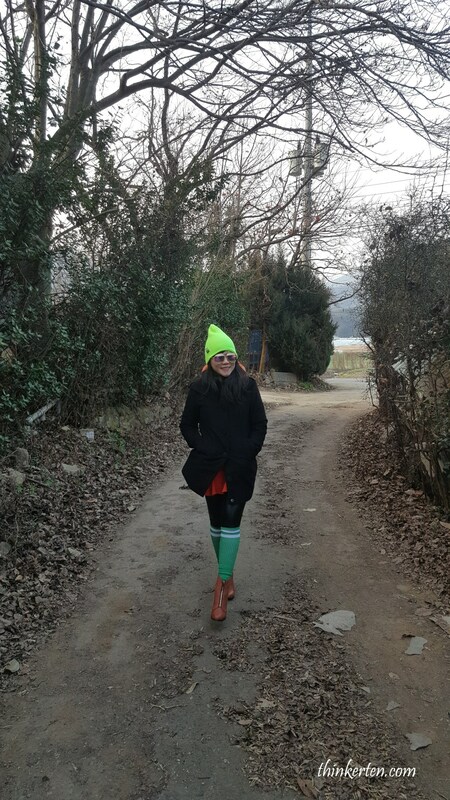 This is a mountain village which is famous for ice-cream and cheese making activities. 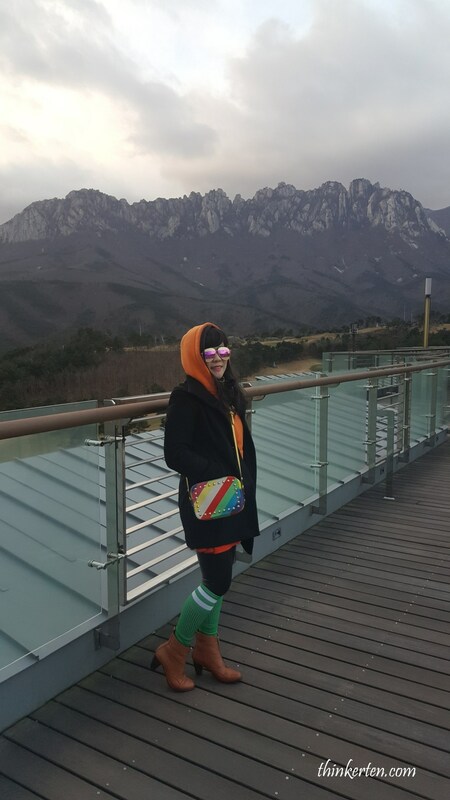 This area is also famous for it ski resort. However we did not go to the Ski trip because our tour package did not include skiing in this tour. Most members in this tour been to Korea many times and they purposely did not want to include the ski trip. It was same for me, I choose to opt out this time because I prefer to do ski trip for few days not just few hours. We walked in this convenience shop and the ice-cream workshop is at the back of this shop. A Korean “ajuma”/auntie who only speaks Korean started the lesson and end in 1 hour time. All I could remember from the whole lesson was “pari-pari”, she kept saying “pari-pari” throughout the whole lesson. Later I found out “pari” means hurry up. May be she has more groups coming in. No machine was used in this ice-cream making lesson. All by hands. 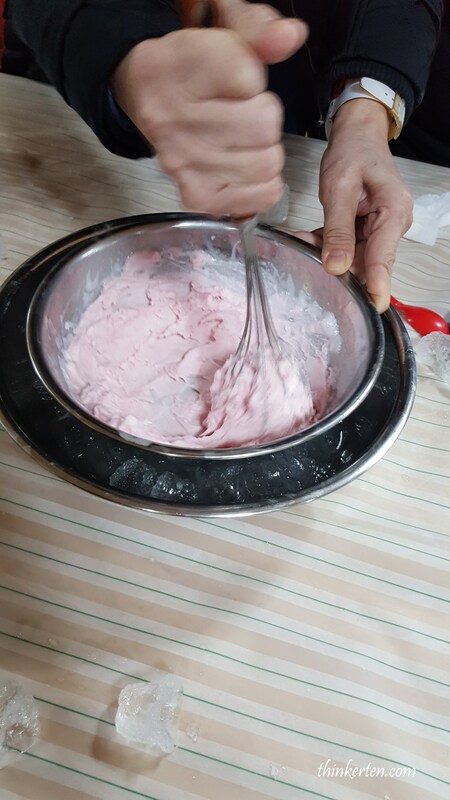 The “ajuma” told us the secret of Korean ice-cream tasted better because of the milk they are using. The milk is only sold in Korea and not being exported to overseas. 3 kinds of flavor of ice-cream we made, chocolate, vanilla and strawberry. Amazingly the strawberry tasted the best. Normally I don’t eat strawberry flavor. After our ice-cream making workshop, we walked over to another workshop which was only 2 minutes by foot. We passed by this open frozen plain and the ground was still covered with thin ice due to some snowing last night. 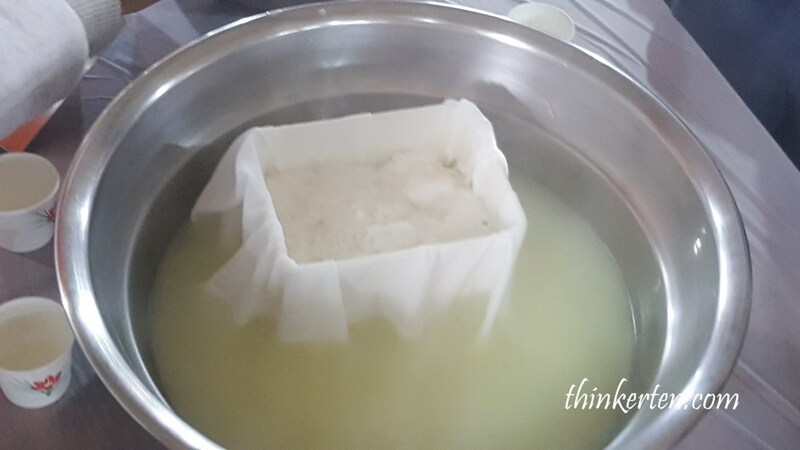 When we arrived at the cheese making workshop, there were other groups who had already started making cheese. The cheese workshop is so much bigger than the ice-cream workshop. The cheese making “ajuma”/auntie was less aggressive and did not call out ” pari-pari” during our lesson. Lesson was conducted in Korean as well but we managed to understand her body languages and hand sign. It was just like making the tofu. 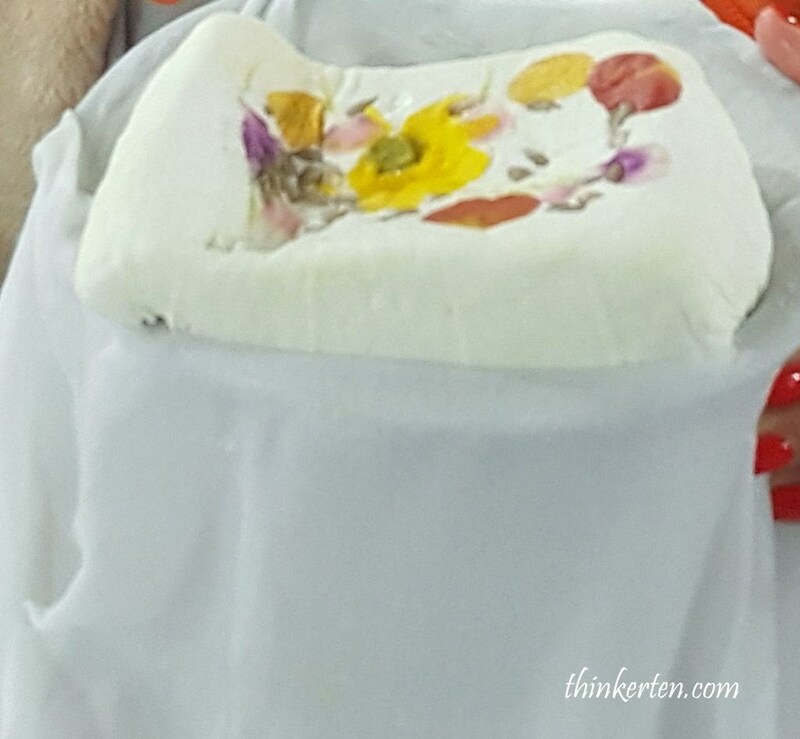 We put some flower petals inside the cheese to make it look more beautiful. I did not like cheese but I tried a little bite since I was the one who made it. It tasted awful. 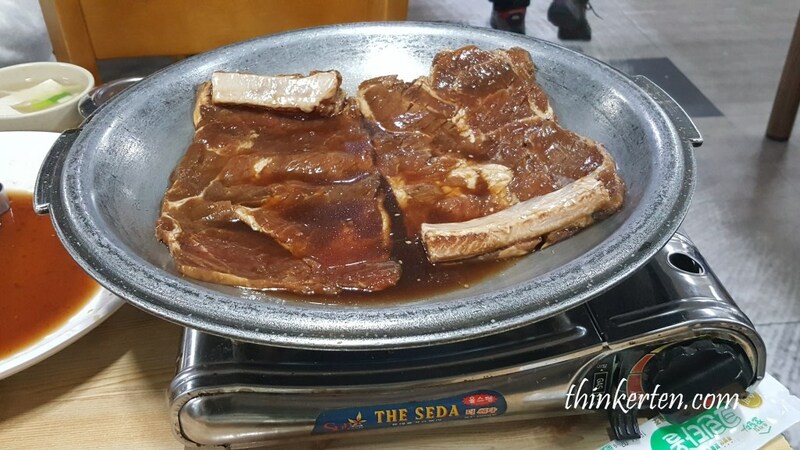 You may like Korean Cooking Class with Traditional Market Tour in Seoul! Lunch was delicious, I still remembered we were given big slice of Pork meat with some rib. It was Korean Stir Fry Pork lunch. Normally Korean did not include the sauce when they stir fry these huge slice of pork but the owner included the sauce in so it did not get burn that easily. I wrapped the meat with the fresh raw cabbages and it was super delicious. At first I thought the cabbages would taste a bit bitter if eaten them raw but I was wrong! I don’t know why Korean cabbages tasted so crunchy and sweet? 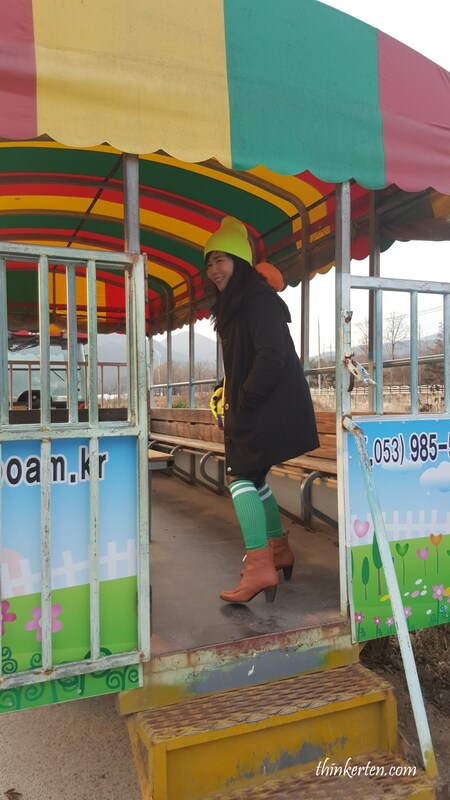 I still miss the sweet raw cabbages in Korea!! After our lunch, we stopped at a local fruit farm where we can enjoy picking and tasting of seasonal fruits. We were here in December and the fruits available for picking were cherry tomatoes. The farmers drove us to his farm with a tractor. It was fun riding on the tractor for the first time in my life, but I dislike the cold wind blowing into my face and making me shivered. 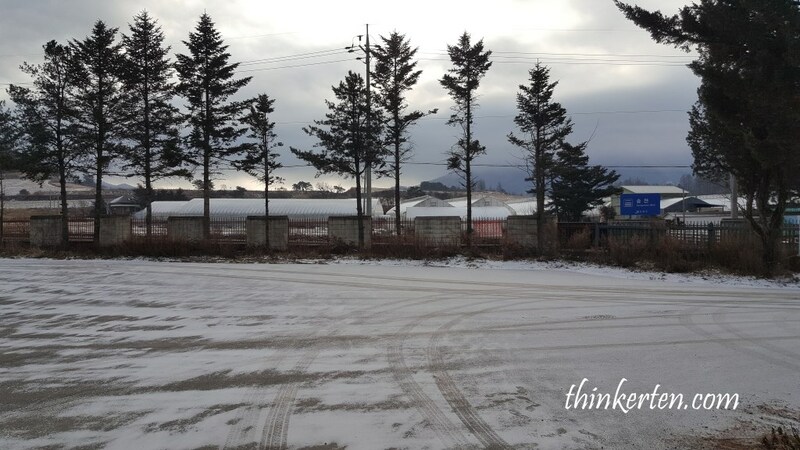 There was a distance to walk into the cherry tomatoes farm after the Korean farmer stopped his tractor. I could not see any young people in this area, only old farmers. The quality of air was very good, I enjoyed every single bit of this quiet countryside farm. 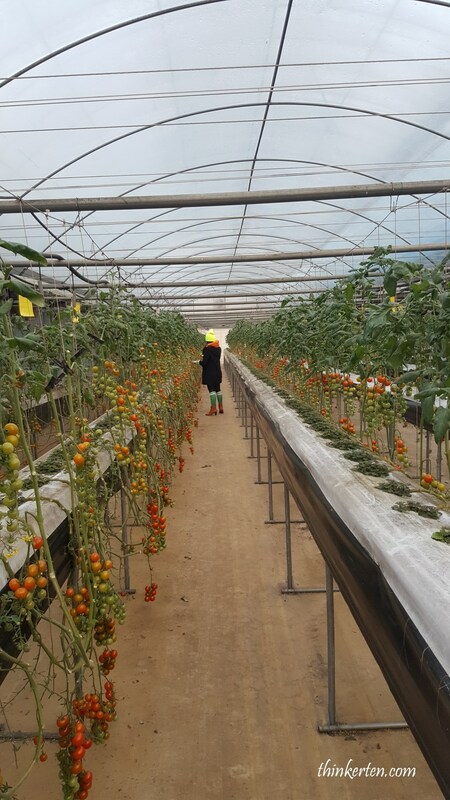 Once we entered the cherry tomatoes farm, everyone was so happy to see so many cherry tomatoes were still available for us to do the picking. Each of us were given a plastic container to pick our tomatoes. 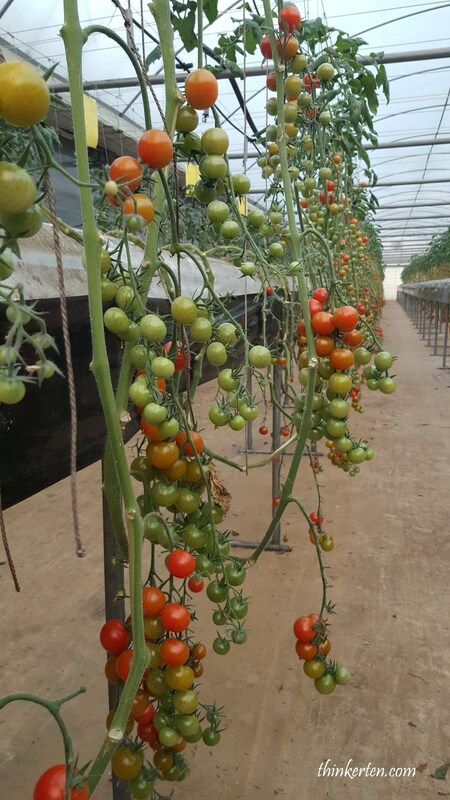 These cherry tomatoes looks so beautiful in red, orange and green, all hanging in bunches. These tomatoes also tasted quite juicy and sweet after washing them. After our cherry tomatoes picking, the farmer drove us back to his home and his wife started to teach us how to make the Korean Pancake/Korean pizza. 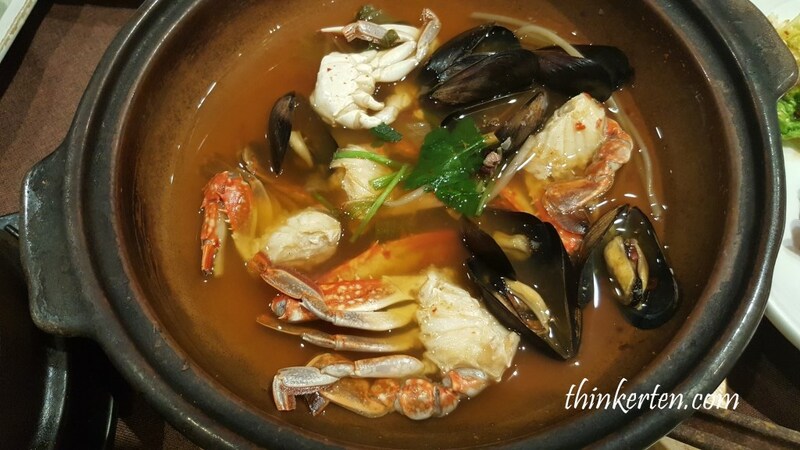 The ingredient were spring onion, seafood including octopus and shellfish and wheat flour. 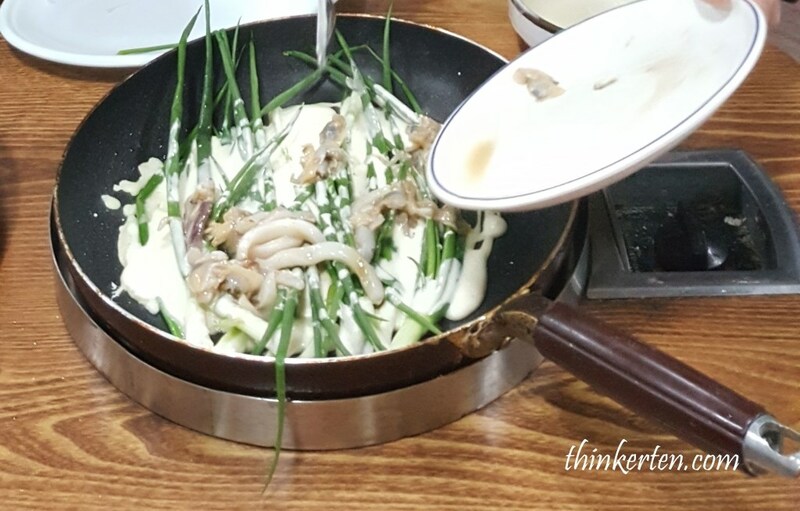 The farmer’s wife was very good at making the Korean pancake and she can easily turn many pancakes without dropping outside the pan. Our tour guide told us Korean called the spring onion pancake as “Pajeon”. Usually Pajoen used many spring onion and some of seafood or meat as topping. The pancake tasted very yummy, similar to the Chinese version except less dense in texture and not made from dough. 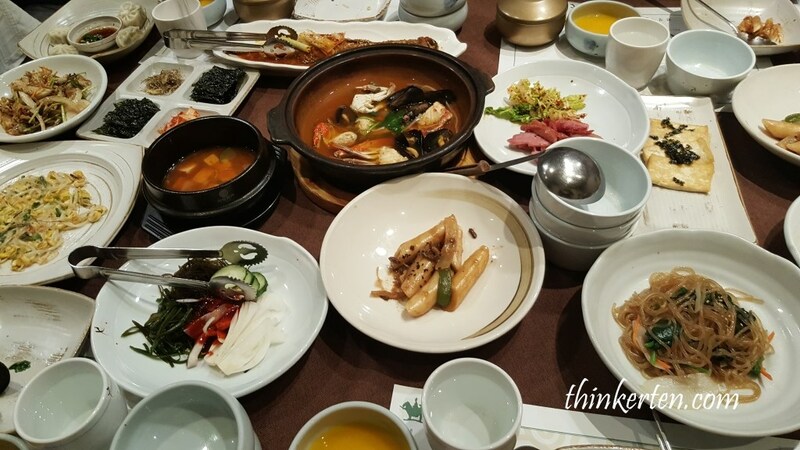 Within an hour time we had our traditional dinner course, very authentic Korean set dinner. There were more than 30-40 dishes on the table. Most of them were “Banchan”/small side dish. Too bad we were all quite full from the Korean pancake. We were sitting on the floor for this tradition dinner set. You may like to experience Korean Cooking Class with Traditional Market Tour at Seoul!